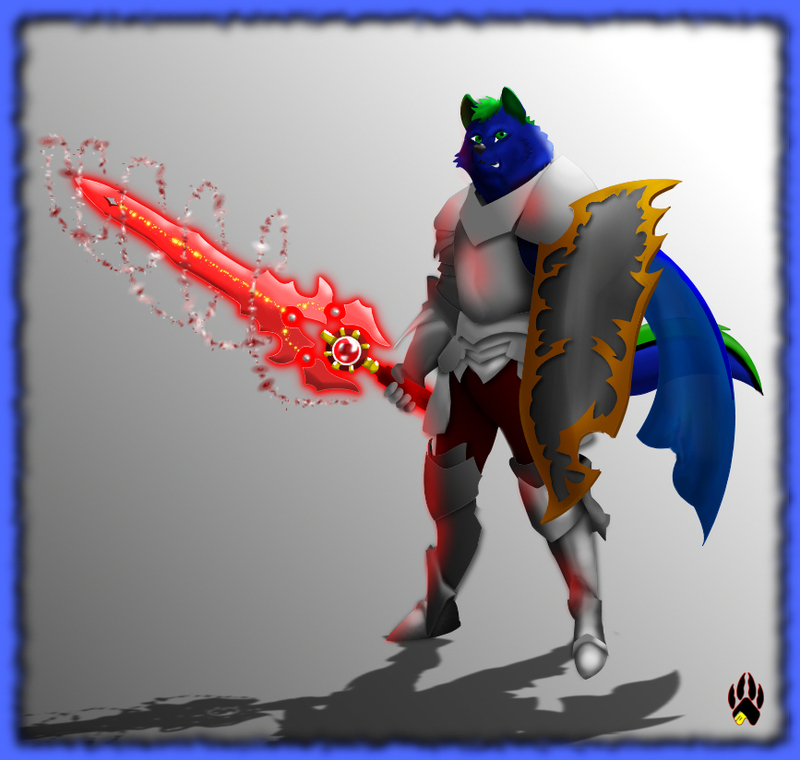 Took me a while to do this one and I made two version of this art (one has a red glow emitting from the sword and the other has none). As well, my first time to do this style. I know... I Know... The eyes look funny or awkward.